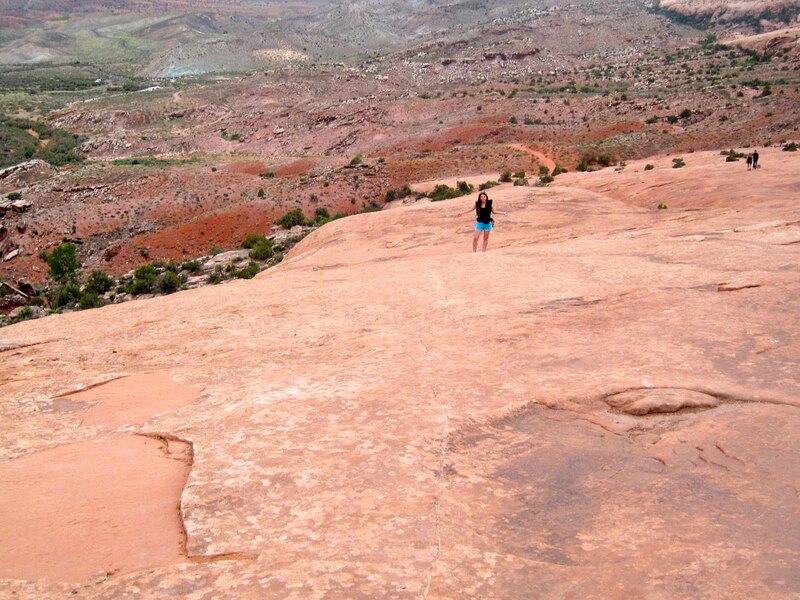 You would think after what felt like a never-ending climbing battles against rocks, our calves would call it quits for the day. Nah. 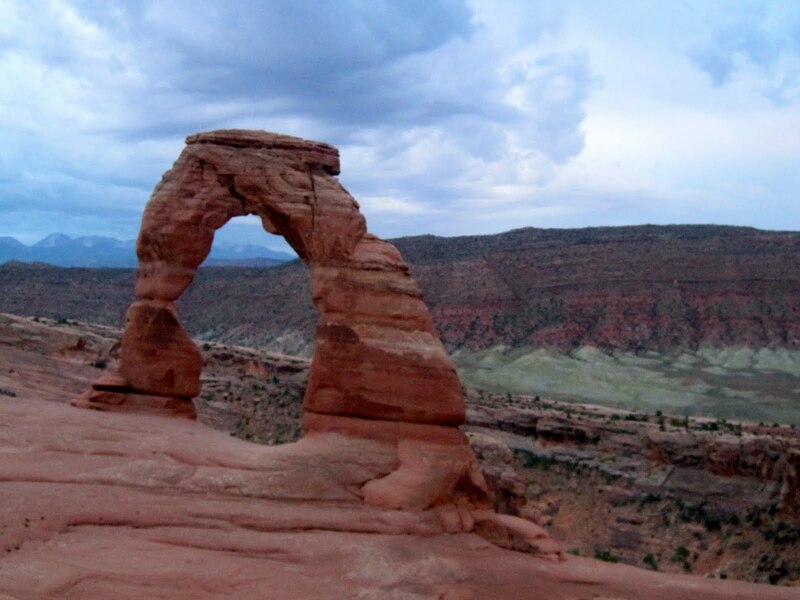 One of the most sought-out hikes in Arches is up to Delicate Arch, which is a little over three miles round trip. After resting in the afternoon and having chocolate chip cookies and soup for dinner (? 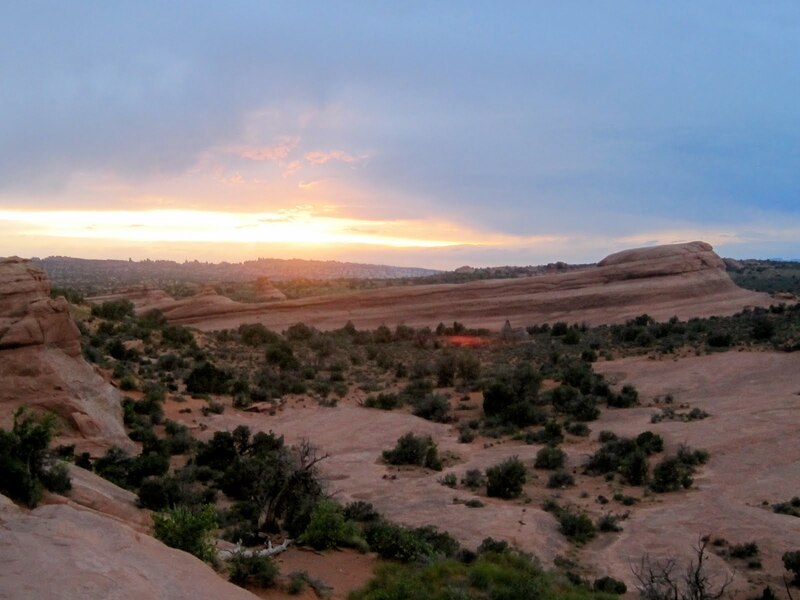 ), we conveniently timed a trek to Delicate Arch just as the sun was setting. 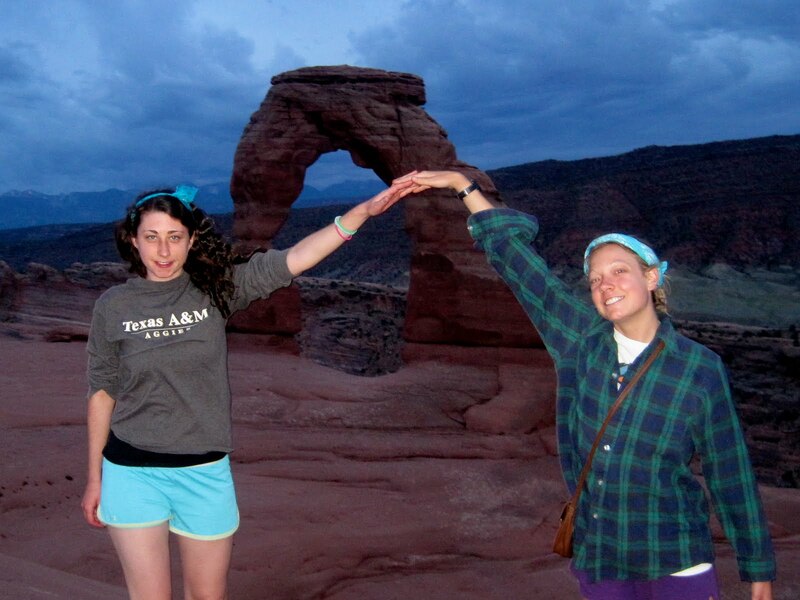 And since Delicate Arch was so beautiful, we tried to be an arch ourselves. I’d say we were pretty successful. Posted on August 17, 2010, in Uncategorized. Bookmark the permalink. Leave a comment.